Change is the only true constant in life and it is my belief that this statement is also true for technology. The trend of that change can be watched in hard indisputable facts like sales numbers and profitability. Comparing as an automaker your numbers and those numbers’ trend against others gives you a solid understanding of your overall ability to innovate, produce, and deliver. The shift from the combustion engine to the electric powertrain has been happening for years and is happening fast and without mercy. The shift is not in the far future. It is not happening in just some places. It is not happening for just a subgroup of consumers. It is happening here, today, right between us, within all buyer groups, within all countries, and within all age groups. The history has shown that companies without competitive products either shrink, are bought, or fully disappear. It has been like that in the past and we have no reason to believe that it will be different in the future. Some companies have been able to reinvent themselves, but those examples are rare and it was always a hard and underestimated challenging road typically triggered by a near-death experience. If not before, at this part of my article, you, as a critical reader, may call my statements driven by fear or emotions and without facts to back them up. 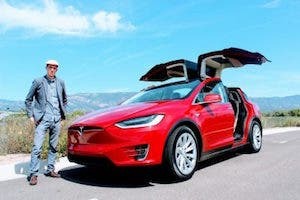 It’s true — the discussion about Tesla is driven by emotions, not opinions and facts, and these days we all now have a hard time being heard as well. Emotions tend to create emotions and are usually not helpful to discover the truth. You may want to bring all the headlines to my attention that you have recently seen and read about Tesla — about Tesla going bankrupt soon, burning cash, having production and quality problems, and being run by an erratic CEO with strange behavior. You will likely talk about the financial stability and almost unlimited resources of the large gas & diesel automakers, their almost unlimited production capabilities, and all the EV models that either have been announced or released already or will be in the near future. Some naysayers define Tesla as a fraud, others say that only Ford, an automaker founded in 1903, has survived the startup phase, starting the mass production of the famous Model T in 1913. Otherwise, the list of failed attempts in the last 115 years is very long. Last but not least, an often repeated argument is that all incumbent automakers could easily produce EVs en masse as there is nothing that can be called an advantage or moat. All of that sounds very reasonable, but I ask myself, if that is all true, why did not a single German automaker with all of its engineering capacity and billions of annual profits bring a single car on the road that can compete with a Model X, S, or 3 from Tesla? People told me, “This is because they don’t want to do so, as the profits are made with their ICE cars, and with every EV, they lose money.” I understand this and believe that strategy makes a lot of sense. However, it creates a new question. If this is the smart hidden strategy from the CEO of, for instance, BMW to maximize profits, how could he then allow Tesla to outsell BMW in the luxury premium segment? How could he allow them to sell more Model 3s than all of BMW’s passenger cars in the US combined? The same question is relevant for the CEO of Daimler, Audi, or Porsche. All current information available from different sources tells us that the August estimates shown here for the Model 3 will be even much higher for September, and the Q3 results which will be released in about a week. 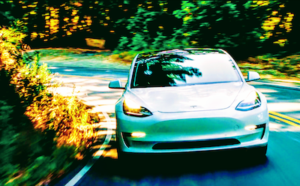 The argument that the German automakers will bring a car on the road that can compete or is better than a Tesla was a valid opinion until the moment when Tesla outsold by revenue and in units all of their passenger cars combined. To protect their market share, they would have otherwise started mass production for a superior EV to compete with the Model 3. But they didn’t. The numbers in the above graph are not opinions or emotions — they are solid information. 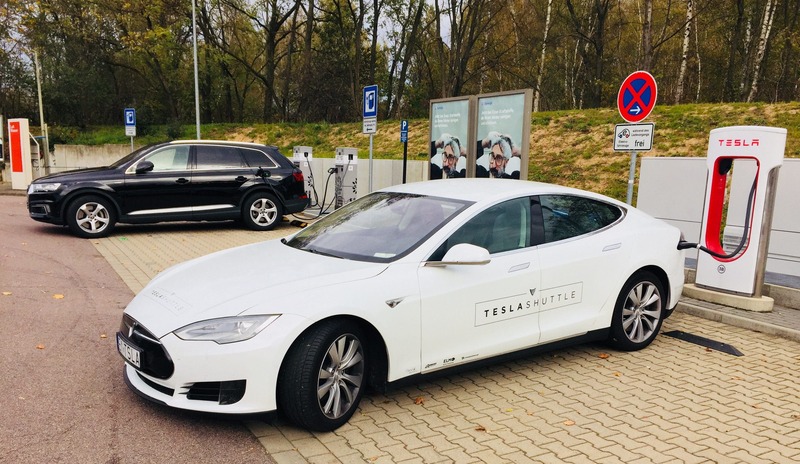 Definite facts will appear in early October with more graphs proving that Tesla is far ahead of any other automaker in Germany. It is time to face the uncomfortable truth that the German automakers do not have a single car, be it a gas/diesel car or an electric car, in production or in development today that can compete with the Model 3. If they had such a car, we would have seen it already, either in production or as a concept version. The lost market share, revenue, and profit that Daimler, BMW, Audi, VW, and Porsche are facing in the US today is an unprecedented humiliation of premium car innovation and production in Germany. We have no reason to believe that what happened in the US already will not happen in Europe and Asia on the same scale in the near future. Even more worrisome, the concept cars and models that have been revealed for the future do not have even specifications like range on a single charge or global charging infrastructure (in charging points or power) that enable them to compete with Tesla cars being delivered since 2012. Most of them are not on par and none are ahead. We can fairly assume that Tesla will continuously innovate as they have done in the past. If the existing Model 3, X, and S are already today ahead with specifications and the future cars revealed from the German automotive industry is not on par with them today, who do you think will lead the industry in, say, 5 to 10 years from now? Who will harvest most of the profits? 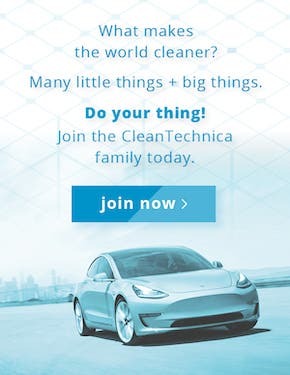 The company that does own an entire value chain from battery production to customer delivery or the company that plans to put an electric motor and a bought battery into the almost unchanged structure of existing gas/diesel cars, selling the electric version through dealerships that do not earn any services or maintenance with them and receive a malus for every EV sale? An example for this is Daimler. Even the future announced models from BMW, Daimler, Porsche, VW, and Audi for arrival in 2020 or 2025, if we can trust their official statements, are not designed to be better engineered than a Tesla today. If that’s the case, then the undeniable truth is that the German automakers do not have the technical know-how to build a car like Tesla does. That’s true for the past, the present, and with all information we have today, also for the future. Right now, the often cited German competitors compete with the past of Tesla. Sales and delivery numbers are the sound expression of consumers and their point of view. They are a testimony of trust as many of the consumer’s 2nd largest investment in life. At the end of the day, what counts as regards car specs is what the consumer voted for with her or his hard-earned money. The consumer has often shown to us she/he is right. Therefore, I suggest to look into the official delivery and production numbers of Tesla today versus the competition and identify if my concern about the German Auto Industry is justified or just my private paranoia. Electric cars are having an unprecedented growth rate and all German automakers have today not a single EV in the dealerships that can compete against either Tesla’s Model S, Model X, or Model 3. 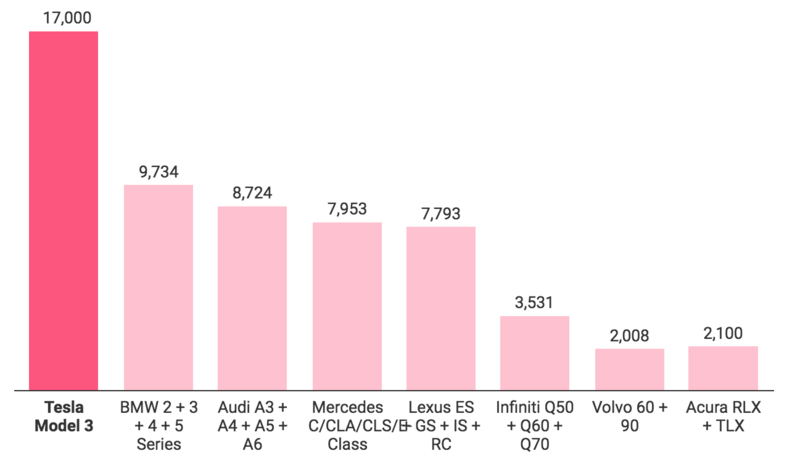 The sales numbers released prove the success from Tesla versus the German competition. That’s the by-the-facts supported truth of today. 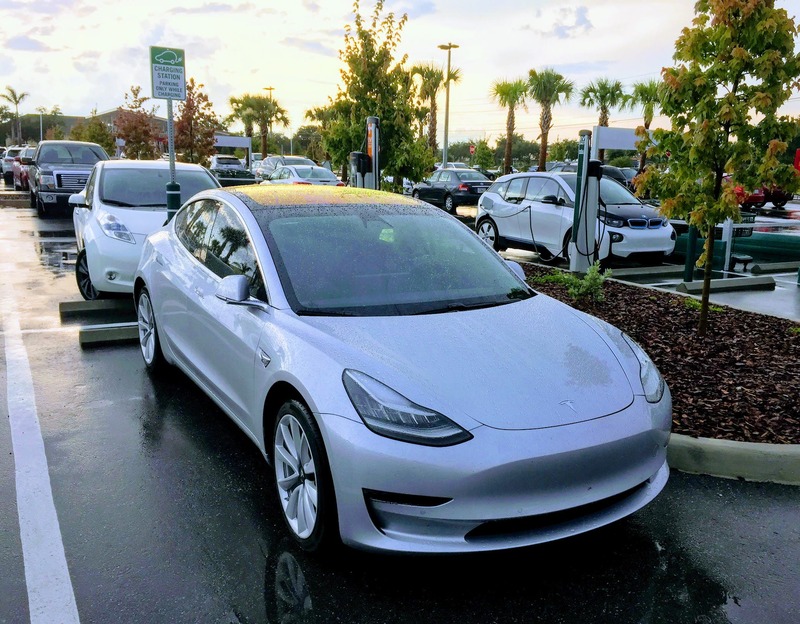 With Tesla today only delivering its mass-market Model 3 in North America, not in Europe and China yet, we can fairly expect a similar success story for that car within the same consumer group. That success is happening although the sales price is in average about $60,000 now and the low-cost model with a price tag of just $35,000 is expected to be delivered in early 2019 and will take even more market share from all German automakers. In all of that discussion, I did not even mention the Roadster 2, the Semi, the Model Y, and the pickup truck that are in development from Tesla, with stunning specs already announced to outpace their gas/diesel counterparts and a high chance of success with healthy margins. At that point in a conversation, I usually hear a lot of arguments in favor of German car manufacturers. Discussions do start around carbon footprint, cobalt and lithium, rare earth elements, and battery carbon footprint, besides others. All of those arguments may or may not be valid, but they don’t obviously count much, even if true, because the consumer has already decided and voted with his sale. A sale where I only see cars from Tesla on top and no cars from Audi, BMW, Daimler, Porsche, or VW as top sellers in the same lists. At the end of the day, the only factor that counts here is if you could convince the consumer to pay for your car, and nothing else matters. It does not matter if VW does produce more cars, or if BMW has the i3 and i8 on sale and the iNext as a concept that is supposed to have a range above 400 miles in 2021. It does not matter if the e-Golf is selling well in Norway and Audi will start delivering the e-tron this year, or that the charging speed of the Taycan and e-tron is supposed to be faster than a Tesla Supercharger. The only factor that matters is if the consumers do pay for a German EV or an EV from another brand like Tesla. Today, they give their hard-earned money to Tesla, and it does not look like that will change in the future. With EVs released that so far disappointing in almost all aspects compared to a Tesla, why should a consumer buy a German EV? To put things into perspective, its not really in question if the e-tron, EQC, I.D., or later released iNext will find buyers. They definitely will. The more important question is how these cars will sell against the Tesla EVs in their specific segments, and how fast and strong the revenue drain from those automakers to Tesla will be. In order to survive the disruption we all experience today, German automakers need to stabilize their business and win as many buyers for their EVs as they had for their gas/diesel cars. With all the information available today, it’s fair to predict that it is simply not realistic to believe that his will happen. If we look into the statistics, we realize that US car sales peaked in 2016 and have been decreasing ever since, while EV sales are increasing year by year. With more EVs capturing market share, which is supported by hard numbers, it is without doubt happening: gas/diesel cars will be reduced year over year. That trend can only be stopped if the overall sales numbers of all vehicles grow faster than the adoption of EVs. If you look at the recent growth charts of EVs in the US, how likely do you believe this is to happen? I dare to say it’s not likely at all, if not even completely unrealistic. We experience that the diesel scandal does accelerate that trend, further supported by politicians banning diesel cars from major cities in Germany with an assumed number of 1.3 million units in Germany alone. VW has been paying €25 billion in fines so far, and still counting, because of a cheating device used by the company. A CEO from Audi is in jail yet is still holding his position, and more unpleasant truth is expected to be discovered in the coming years. The EU commission opened a formal investigation as of September 18th into collusion between BMW, Daimler, and VW about clean emission technology. All of that is bad news for customer loyalty. In September, car sales in Europe had grown significantly, driven by high discounts to exchange their old dirty diesel cars with new cars, and this will drive profits further down. This will help, for instance, VW to achieve maybe record unit growth and thus say that everything is good. I am sorry, but I have to say, nothing is good. All of this may not even have a strong negative effect on consumer behavior until the moment when you give the consumer the opportunity of choice. Choice makes the difference and has not been available before in the mass market segment. In that segment, the base Model 3 is going to be selling without a comparative EV alternative for the consumer. From now on, the consumer has the ability to decide between a still good gas/diesel car or a superior electric car with low maintenance costs, an even lower cost-per-mile ratio, and lower total cost of ownership. The US EV sales trend shows that if a consumer has a choice, you better have the best EV in your showrooms or at least play in the same field. Choice makes all the difference. I did analyze every existing and future electric vehicle from Germany in depth, as well as all models from Tesla, and have to convey another unpleasant truth. As of today, we have Tesla’s cars offering the best available specifications and then, after a distance, all others. Companies with products that are in high demand and with unique selling points have the ability to optimize their revenue and profit rate much better than their followers. Today, Tesla is increasing the average sales price and margin of its Model 3 because it can. 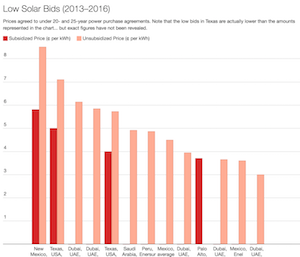 Tesla defines a new segment that attracts buyers who usually look for cheaper cars like the Camry or Beetle. For the foreseeable future, Tesla is the only EV producer with a newly defined segment and gains every month more strength to define consumer expectations and behavior. This is true because Tesla has direct access to the customer, a very valuable asset that the retail industry has long defined as a critical, key success factor. The German car industry has a global dealership network that owns the customer relationship and does not have an incentive to sell an EV versus an ICE car. The dealerships will lose revenue if they do. If that is true, why should they? 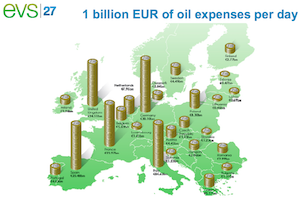 The German auto industry is the most important industry sector of my country. Our wealth and social stability depend vastly on it. It is a so called key industry that is a backbone for the Mittelstand (mid-size companies), for which 39 million German employees worked in 2017. To be clear, not all of them work for the auto industry, but an important portion does. 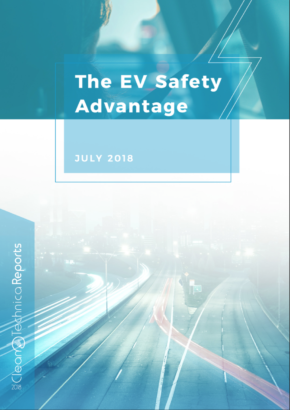 Since 2012, I have been losing faith that VW, Daimler, Audi, Porsche, and BMW are willing and technically able to bring EVs to market to maintain required revenue and profit, to remain important players in that industry. I called myself a fool to have the hunch that I know better than the smart people in senior management of the industry, an industry with likely one of the highest reputations in Germany. In the aftermath, I need to admit I have unfortunately been less a fool than I hoped. As a German engineer, I am a proud member of a group that is highly recognized for world-class engineering. It’s a stamp of quality like the “Made in Germany” trademark that identifies for most people products that are working reliably with an astonishing precision for generations. People raise their head if you mention this abroad, with clear recognition, and the next comment in the conversation is often about the superiority of German cars. Only a few people are aware that the trademark “Made in Germany” was initiated and forced by the British Kingdom in 1887 in an attempt to classify at that time world-class British machines as superior, and imported German machines as 2nd class. The approach to mark the 2nd class German machines as bad products turned, over time, against them. Along with quality products and constant productivity increases, a wealth increase has since then been notable and, together with other factors, propelled a small country with low natural resources and 46 million citizens into one of the most highly recognized countries of the world. That country is today known for world class automotive engineering, promising an outstanding driving experience for a deserved premium price. In the last 10 years, I started to worry about the future of that unchallenged position, the future of the automotive industry, and with it a corner of the German economic model. Friends of mine — be they engineers or not — called me paranoid, but today, 10 years later, I claim that they have been illusionists instead and did not see the future coming. It’s time now for the CEOs of the German auto industry to start seeing the future coming. With all fairness, I must say that your ambitions for electric vehicles are falling short of consumer expectations. Those expectations have been set from your strongest competitor today and in the future, Tesla. To be late is not an advantage but a huge disadvantage. Every day passing by in the last 10 years, you did fall further behind. Your existing ICE car business will from now on shrink every day faster than the day before, and with that your revenue and profits, your cash cows — and with that, your ability to effectively compete. You lost a lot of customers emotionally, technically, and commercially, and this will be visible in your future sales numbers as it is visible in the US numbers already today. I acknowledge that some of you tried hard to change for the better, but let’s face the truth, you have not succeeded. Not a single one of your cars, be it an ICE or EV, today has the essentials to bring you back to the top of the sales list in the US, and I predict we will experience the same pattern in Europe soon. The future of your organizations and our German society depends in large part on you as a proud German automaker to engineer and build en masse what Tesla has been proven to be technically possible. As a German engineer, I urge you in all of our interest to be better than that. Please wake up now and change fundamentally or you risk that you and your organization will be changed. The time for all hands on deck is now.